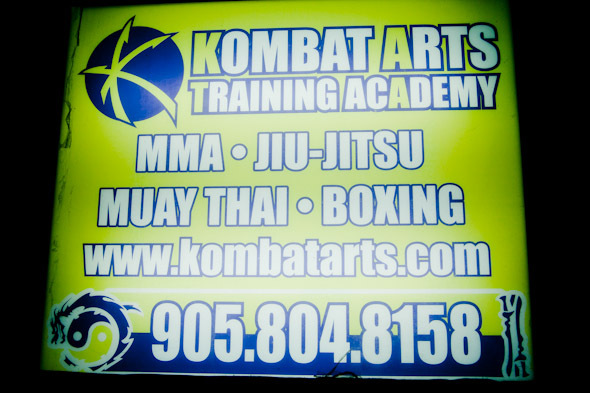 Kombat Arts may be known as a primo place for expert Muay Thai fighters to groom their skills, but it struck me as an ideal spot for beginners to learn the art. First off, I have learned from years of battling a perma-blush that anonymity is key when attempting the new and certain-to-be embarrassing. Kombat Arts can assure that anonymity. 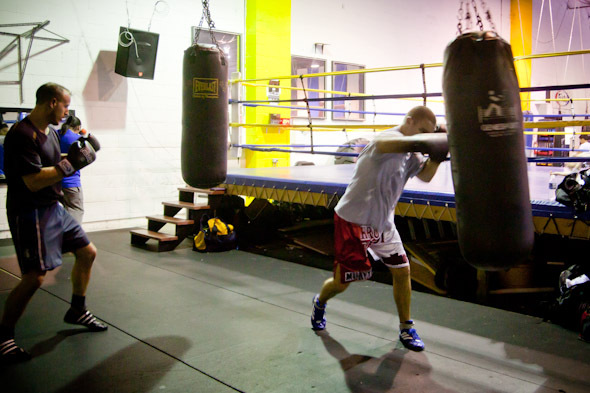 Its facility, located in Missisauga not far from Dixie and the 401, is of over 15,000 square feet, and houses an octagonal cage for MMA training, a boxing ring, cardio and weight room, heavy bags, retail shop and more. I come by in the early evening when two separate classes have occupied the main area. Each class is of about 15 people who are practicing Muay Thai techniques of varying skill level. But being a total newbie, I would have to make my way up to the beginner class. 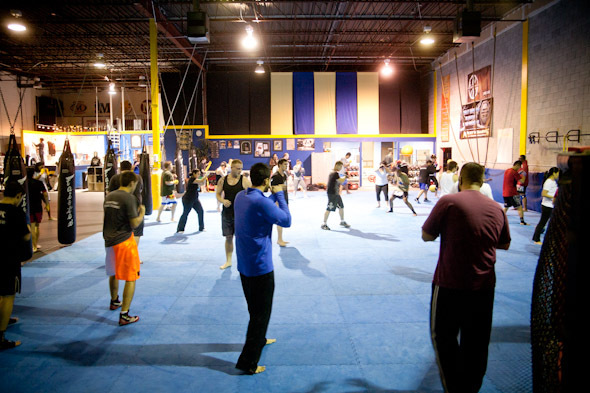 Kombat Arts offers a seven-day free trial for those who are new to the gym (and martial arts), pairing them up with an instructor who will help them learn the basics. I meet Sylwester Organka, Kombat Arts instructor and assistant manager, who tells me more about the facility while going over basic technique. 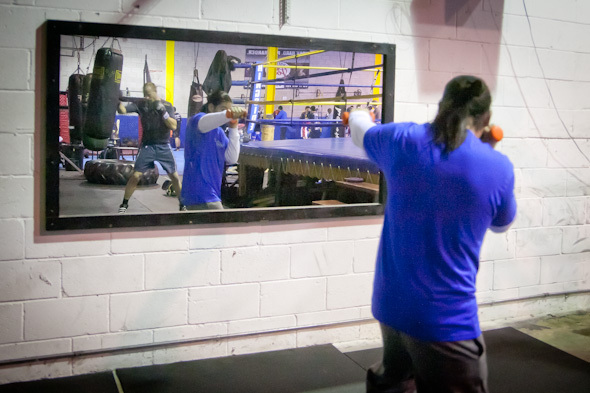 Kombat Arts is not just for Muay Thai, he tells me. 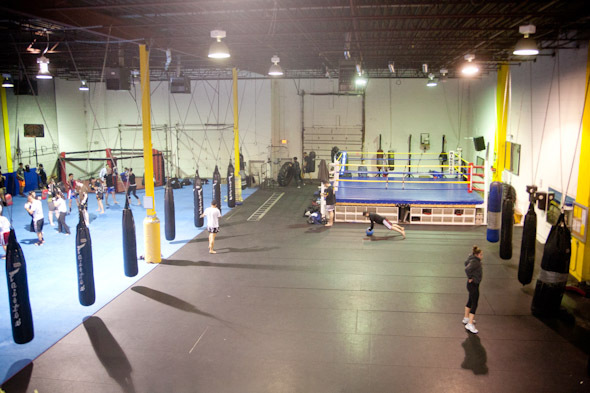 It offers boxing instruction, Brazilian Jiu Jitsu, MMA, wrestling, and more--though Sylwester starts me off with Muay Thai basics. First the stance, which is essentially where you put your feet (and how much to bend your knees), and then we move onto a simple elbow strike. I warn Sylwester about my lack of coordination, and soon prove that warning to be true, but he is patient and direct, guiding my movements with light assistance. In short, he didn't make me feel as though I was making a mockery of a venerable Thai sport, which I, in any case, most certainly was. The week long trial period begins with basic moves, progresses to include circular techniques, and culminates by putting it all together. 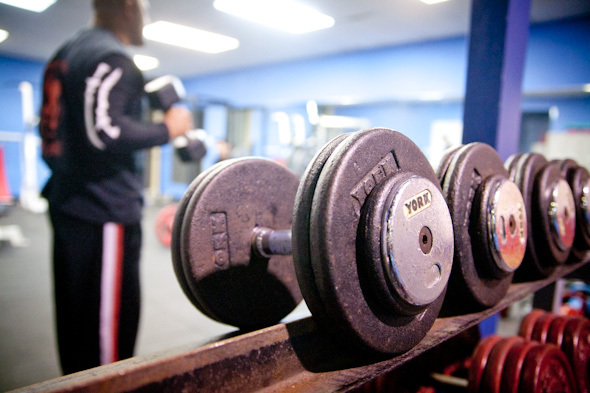 Those who don't have their own equipment are welcome to borrow from the gym, though are encouraged to buy their own if signing up for a full membership. 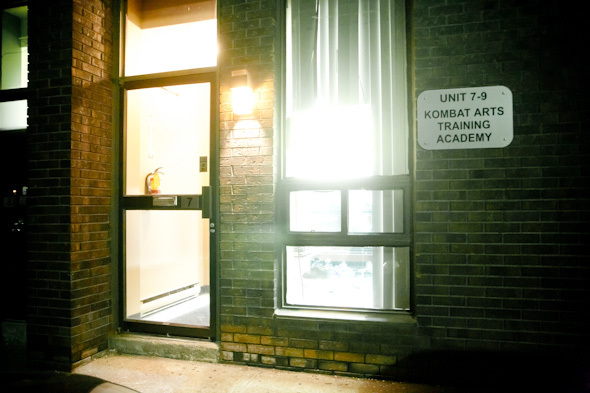 Sylwester tells me Kombat Arts typically sees a 60/40 split of men to women (though on the night I drop by, it seems more 70/30), as well as programs for kids as young as five years old. But when the advanced fighters enter the ring for an event, Kombat Arts goes all out. "We get a liquor license, have it catered; it's a whole spectator event," Sylwester says. But on this night, my "learn to strike correctly" event has zero spectators, and I'm eternally grateful.